Three Fine line styles available. 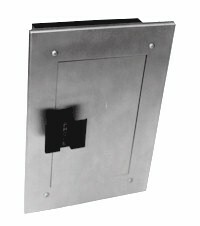 All have stainless steel #4 finish covers, durable black enamel finish boxes, mounting brackets, and commercial magnetic catches which assure secure door closing. ADA compliant handle included. All doors will adapt to right or left handle installation. On handle, PHONE, raised , black letters. 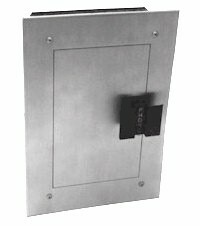 *Designed for residential elevators and restricted use areas. Swing doors with holding hinge. Available in both stainless and bronze (B) units.